Buy Natural by Nature Roman Chamomile essential oil - 5ml in the UK from our online shop or directly from our independent Scottish store. Chamomile Roman (Anthemis nobilis) essential oil. It is steam distilled from the flowers. Natural by Nature's Chamomile Roman (Anthemis nobilis) essential oil. It is steam distilled from the flowers. Properties: Emollient, carminative, sedative, antidepressant, anti-inflammatory and antiseptic. Where can you buy real Chamomile Essential Oil 5ml safely online? If you are wondering where you can buy Natural by Nature Roman Chamomile essential oil - 5ml safely online in the UK, then shop with us. 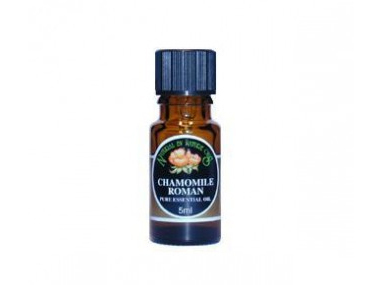 Chamomile Essential Oil 5ml - Natural by Nature Roman Chamomile essential oil - 5ml in Essential Oils and Aromatherapy.